A clam smaller than a penny enters San Francisco Bay. It devours tiny plankton, causing small local fish to starve. The population multiplies, growing so large so fast that there's no way to get rid of them. Invasive species like the Asian overbite clam are wreaking havoc on San Francisco Bay. More than 300 non-native species have invaded the Bay and Delta. Invasive species hitchhike here on ocean-going ships. A decade ago, Baykeeper won tough regulations that require a steady decrease in the arrival of invasive species, down to zero by 2030. But now, California regulators are considering delaying these requirements—in part because the shipping industry procrastinated developing the necessary technology. Baykeeper recently urged regulators not to relent and to instead step up enforcement. Learn more about Baykeeper's advocacy to stop invasive species from entering the Bay. To commemorate our 30th anniversary, Anchor Brewing is introducing the Baykeeper IPA, a crisp and refreshing San Francisco-style IPA that's as fierce as Baykeeper's commitment to defending the Bay. Join the launch party tomorrow, Thursday, January 17! Meet the Anchor brewers, support Baykeeper advocacy, and win big in the silent auction. 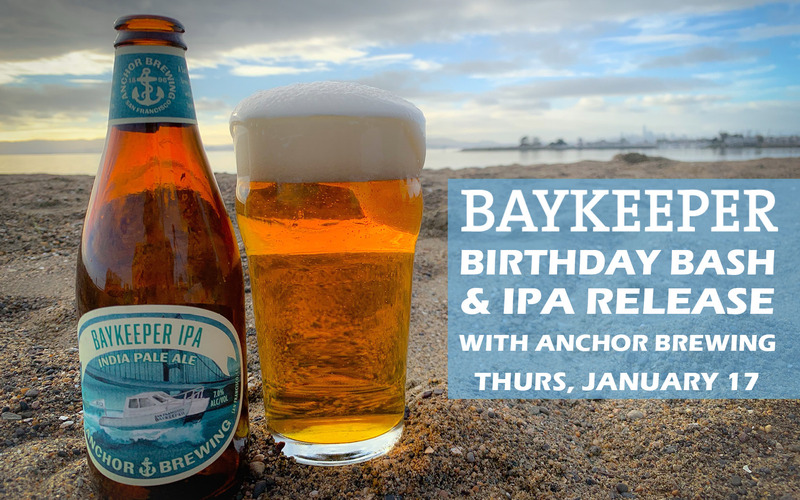 Enjoy music, a new Baykeeper-Anchor partnership video, and special deals on Baykeeper IPA. Entry is free. Baykeeper IPA is now available for purchase at select bars, restaurants, and markets. Find out where using Anchor's Beer Finder. And #RaiseYourAnchor knowing that a portion of the proceeds supports Baykeeper's work to protect the Bay! Private mining companies are removing too much sand from San Francisco Bay. Without sufficient sand, there's not enough to replenish the shoreline, including areas with severe erosion, like Ocean Beach. Baykeeper's lawyers have been in court fighting to keep sand in the Bay, using a legal principle called the public trust doctrine. We asked Managing Attorney Erica Maharg to explain. "The public trust doctrine embodies the idea that certain shared natural resources, like sand, belong to everyone," says Erica. "The state has to make sure these shared resources are used in a way that benefits the public." How does Baykeeper's recent ruling help defend sand in the Bay? "The court firmly rejected the state's claim that private companies taking sand from the Bay somehow benefits the public. If the state wants to approve resource extraction in any waterway, it now has to show that the activity won't harm public resources." San Francisco Bay is facing big threats this year. 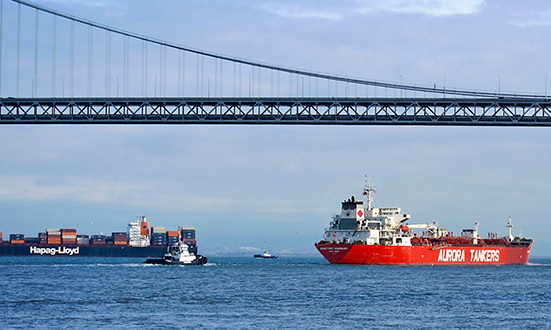 The Phillips 66 oil company wants to more than double their oil tanker traffic across the Bay. This raises the danger of oil spills in the Bay's waters. The coal industry is also trying to expand in the Bay Area. Open train cars carrying coal shed toxic dust near local neighborhoods and along the Bay shoreline. Export facilities then load the coal onto big ships, further polluting the Bay. Baykeeper is fighting back. We're advocating against more oil tankers on the Bay. And we're in court to stop increased coal transport through the Bay Area. Thanks to everyone who made a gift to Baykeeper at year's end! Because of you, we're ready to stand up for the Bay. 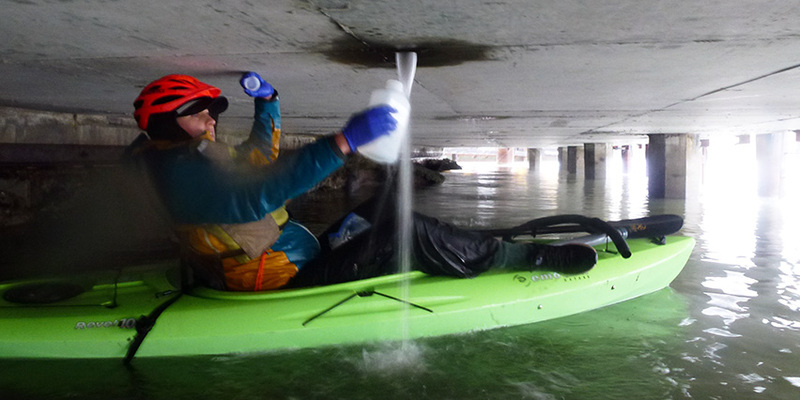 Learn more about how Baykeeper is defending San Francisco Bay in 2019. Around San Francisco Bay, sea levels are expected to rise by more than 3 feet during our lifetime. These rising tides threaten to flood toxic sites, damage infrastructure, and drown critical habitat. In 2015, Baykeeper launched an innovative project with Google to help raise awareness about these threats. Our scientist digitally photographed hundreds of miles of the Bay's shorelines using a specialized remote-controlled trekker camera from the Baykeeper boat. 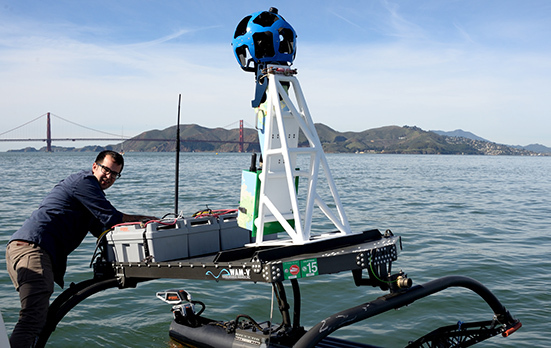 In Google Maps, you can now navigate on the Bay to view the shoreline from the water. ShoreView creates a historic record of the waterline and helps identify the shoreline sites most vulnerable to sea level rise. ShoreView can also help residents and public officials prioritize long-term solutions to protect the Bay's shoreline. Visit Baykeeper's ShoreView site or Google Maps Street View to explore the imagery yourself! Baykeeper's annual dinner will take place on Sunday, March 3. Mark your calendars! 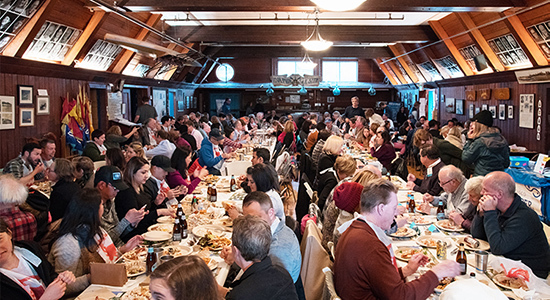 Join us at the Dolphin Swimming & Boating Club in San Francisco for fresh crab, local wine and beer, and a new lineup of exciting silent auction items. We'll also present the 2019 Blue Rivet Awards to champions of San Francisco Bay. Baykeeper staff will give an update on our latest victories and challenges. Space is limited and demand is high! Tickets will sell out quickly. Look for an email announcing ticket sales early next month.